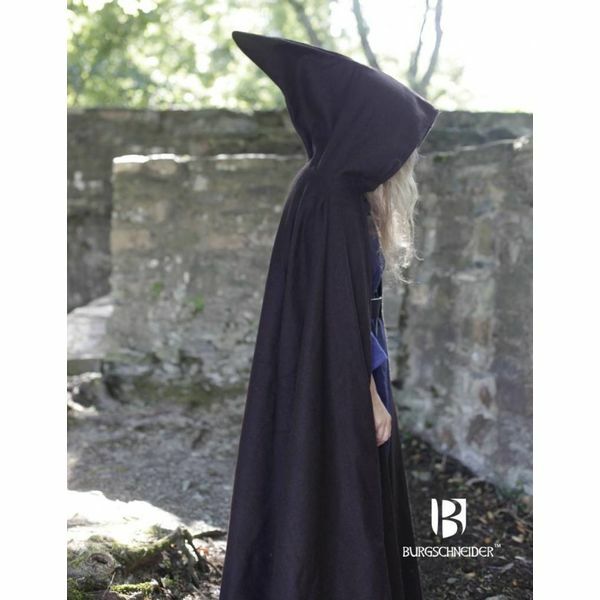 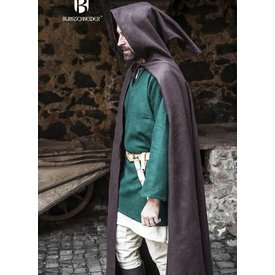 This cloak with hood keeps you warm during all types of cold and bad weather. 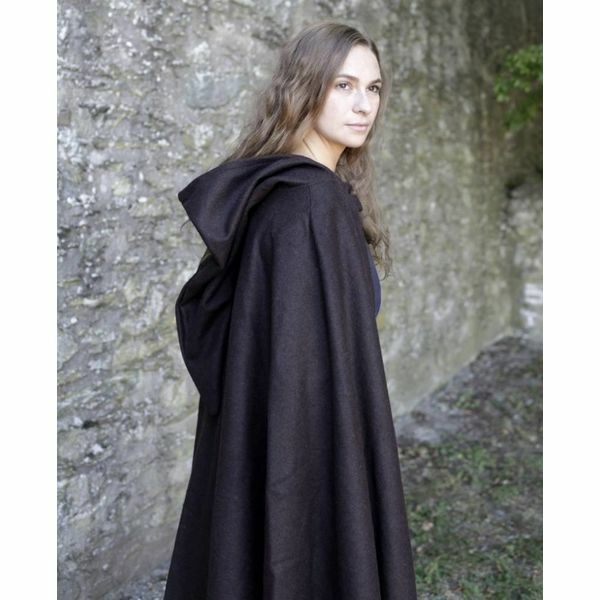 Cloaks like this were worn during the High and Late Middle Ages. 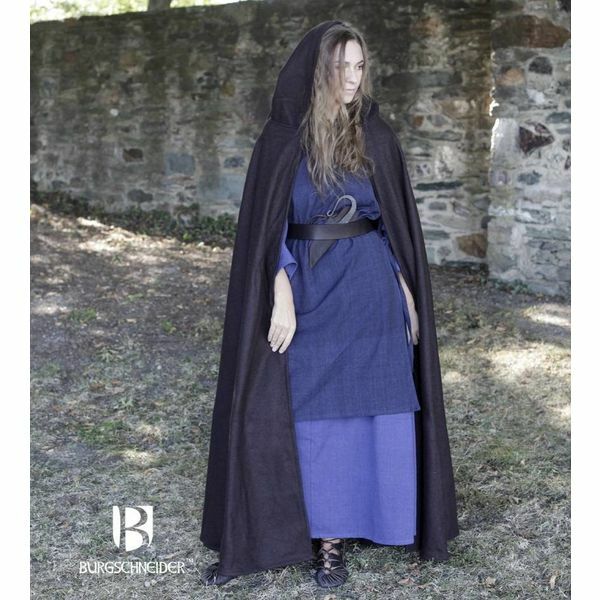 Fabric material: 74% heavy wool, 15% polyester, 7% polyamide, 4% other natural fibers.